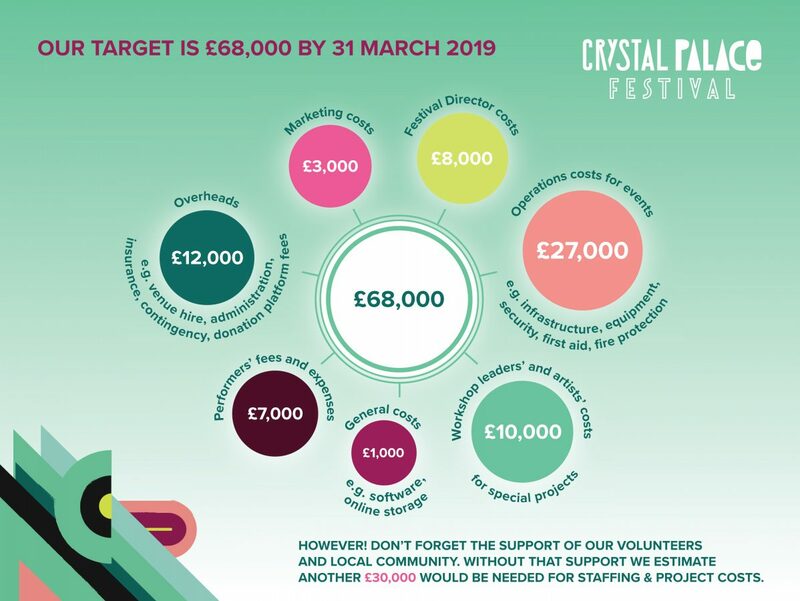 The Crystal Palace Festival is organised by an independent charity, The Great North Wood Collective, with a mission to bring the benefits of arts and culture to all. We need to raise £68,000 to fund the 2019 Festival and we need to reach this target by 31 March 2019. Please click here to support our work and to help keep the arts and culture accessible to everyone. If you would like to help us in this work please do consider a monthly donation or a one-off – whatever you can afford.